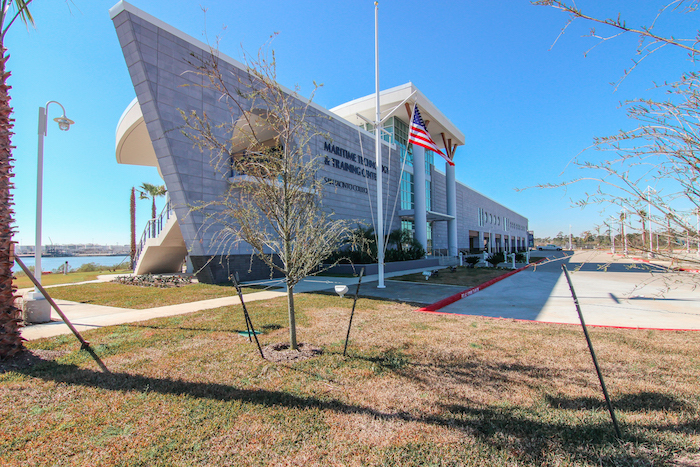 The San Jacinto College Maritime Technology and Training Center provides certificates, associate degrees and incumbent worker maritime training, and includes U.S. Coast Guard-required and approved deck and engineering coursework to prepare mariners for work on commercial vessels. The building sits 14 feet above ground. It has a training dock and locker rooms on the ground level, 15 total classrooms, engineering simulators, and a multipurpose space for industry conferences and corporate partner meetings. Tejas Materials provided all of the metal framing, drywall, ceiling grid and tile for this project.